Then it’s the day after your birthday and you’re recovering from your engagement-slash-birthday party and you do a double take when you notice that almost all the blooms are already open and they are totally not big, yellow, or white! But the blooms are beautiful and they’re a nice surprise. So you take a bunch of photos to document your new little friends. I’m not sure where I got the idea that the yellow and white orchid at the top of the post was the same type as the one that I bought. They must have been sitting next to each other on the bench or something. So this is why you don’t make assumptions. I don’t want to sound like I’m complaining. 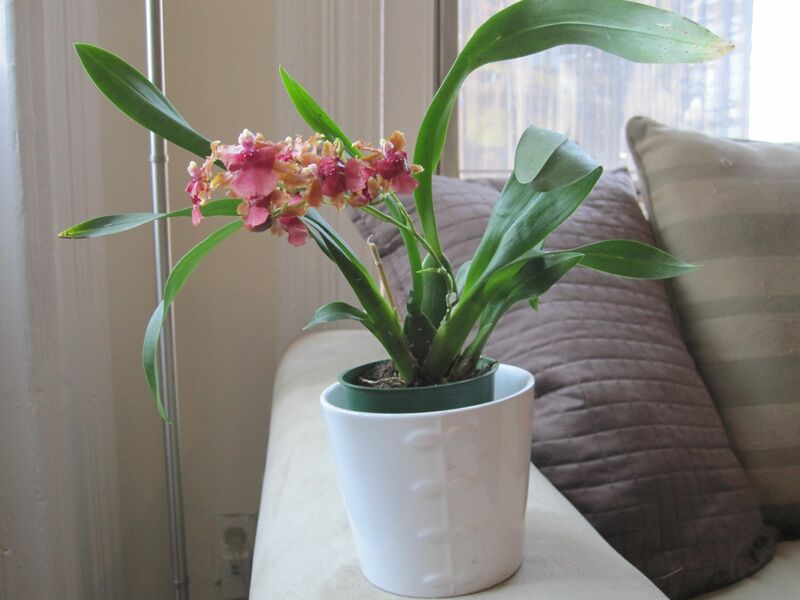 I love my newly-bloomed orchid unconditionally, like all of my orchids. 🙂 Now I’m wondering how long its blooms will last!! That is so pretty! Love those blooms!